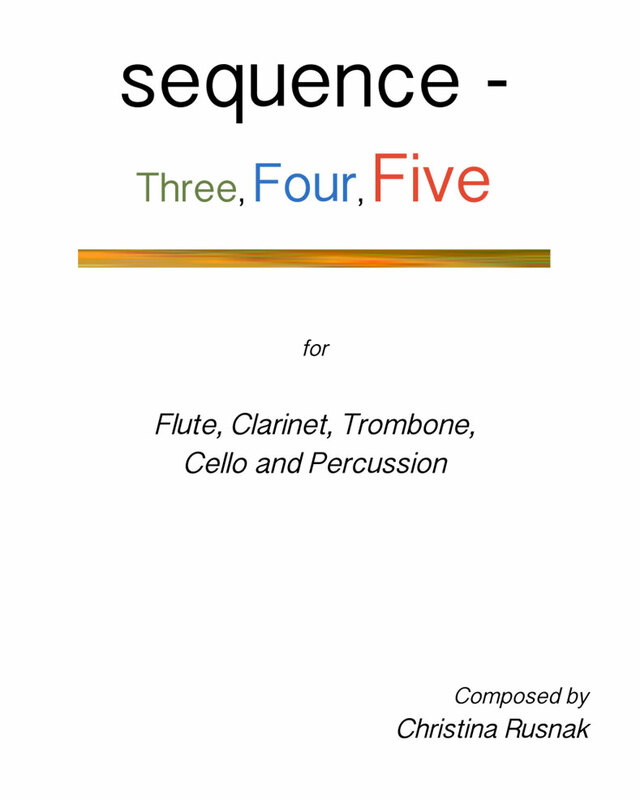 This three-­‐movement work explores the idea of composing with a restricted set of options. For “Three”, using only three pitches and timbres, I focused on rhythm and pattern to make the 90 second fast movement as interesting as possible. Working with four notes and instruments, in the second movement, I sought to create a completely lyrical movement. I squared 4 (times 10) for a160 second duration. The complexity increased with the last five-note movement. again focusing on rhythmic patterns and gestures.